Q: Sometimes when I’m picking out my horse’s hooves, he tries to put his foot down. If I hold it tightly, he tries to jerk it away. How can I make picking out feet easier? A: Training your horse to hold his foot up as long as you want is a bigger challenge than simply getting his foot up. Many people focus so much on the picking up part of the process that they don’t notice they are inadvertently training the horse to jerk his foot out of their hands whenever he feels like it. 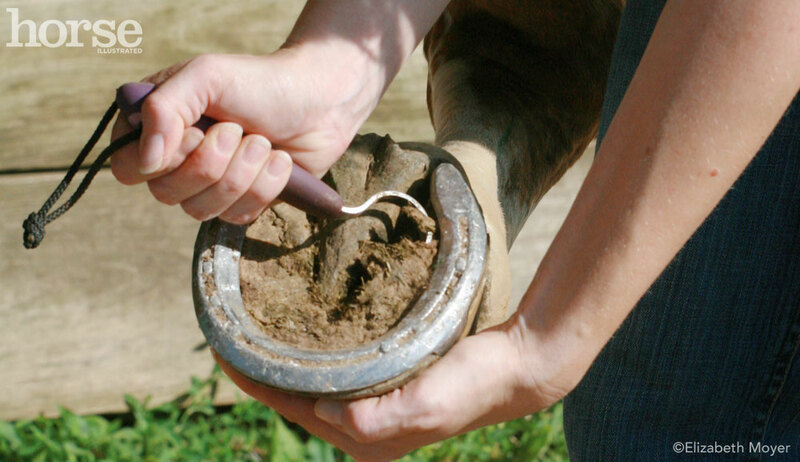 Handling a horse’s feet properly takes skill and experience, and it’s easy to make mistakes. 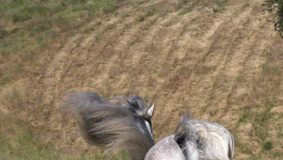 Start by making sure your horse is standing square and will shift his weight off whichever foot you intend to pick up with a light cue to the shoulder or hip. Then run your hand down to the fetlock, bending it as you lift the foot. Next, make sure you point the hoof toe-up. If the toe is pointed toward the ground, it’s very easy for the horse to pile-drive his foot to the ground. This is a mistake many people make. Make sure you are stabilizing his balance with your whole body, but do not let him lean on you. Picking the foot up too high can cause him discomfort, so try to keep the foot closer to the ground (but still toe up) if he seems uncomfortable. 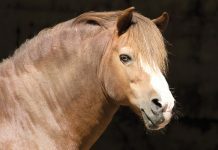 When training a horse to have his feet handled, it’s critically important from the very first time you ask him to pick up his feet (even with foals) that you teach him to hold his foot up in a relaxed manner until you gently place it back to the ground. Every time he succeeds in jerking his foot away, he is instantly rewarded and has learned the wrong thing. The proper way to pick up a foot can be very challenging to retrain and may require someone with the skill and experience to tackle the job safely.